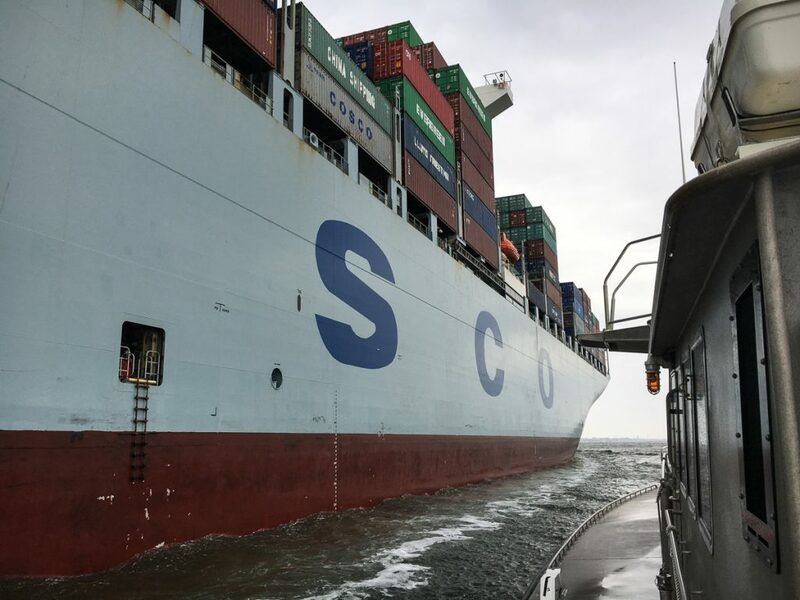 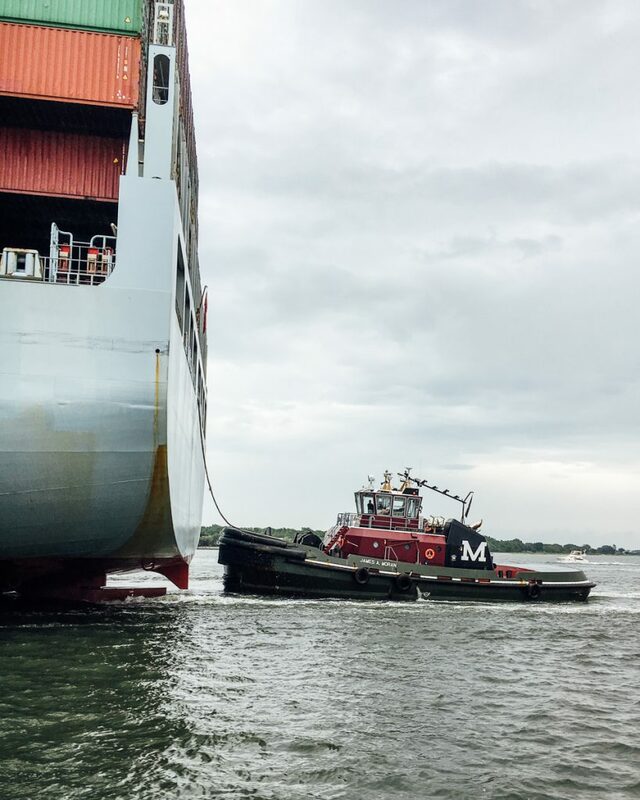 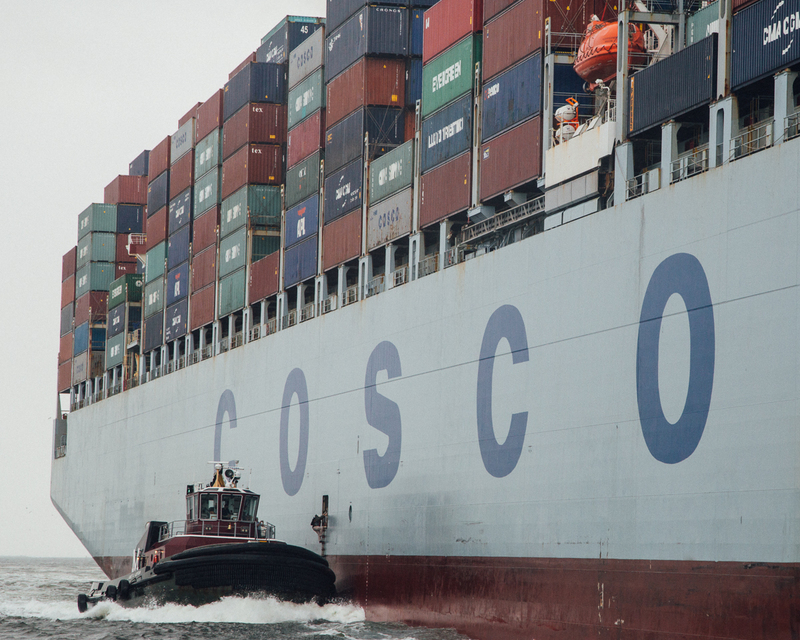 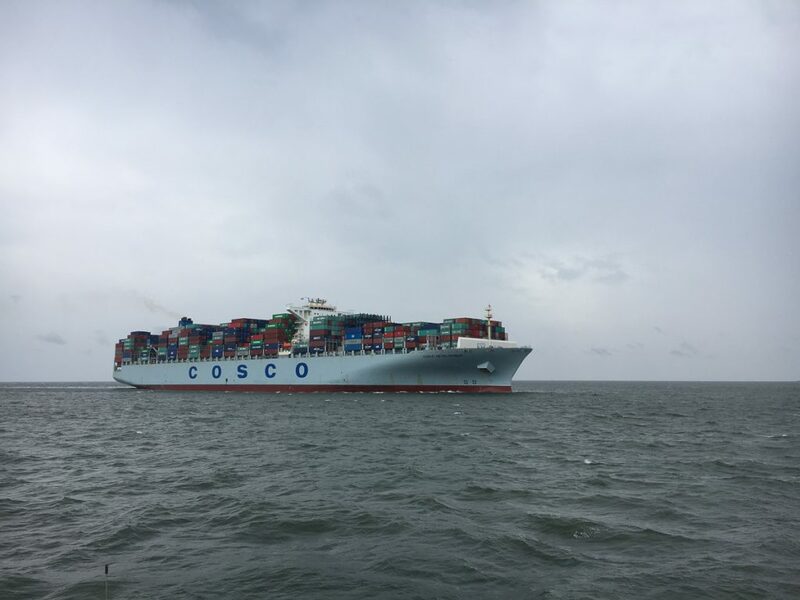 On May 13, the largest container ship to visit the East Coast stopped at Wando Welch terminal after previous stops in Norfolk, VA and Savannah, GA. 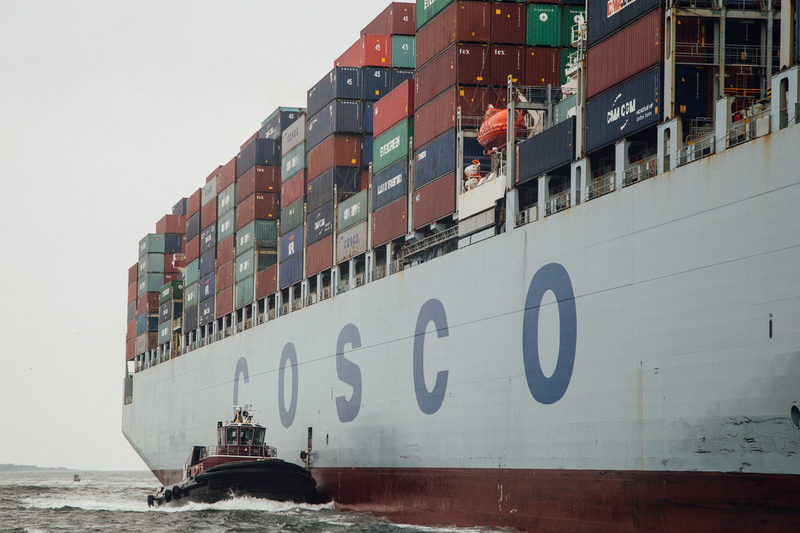 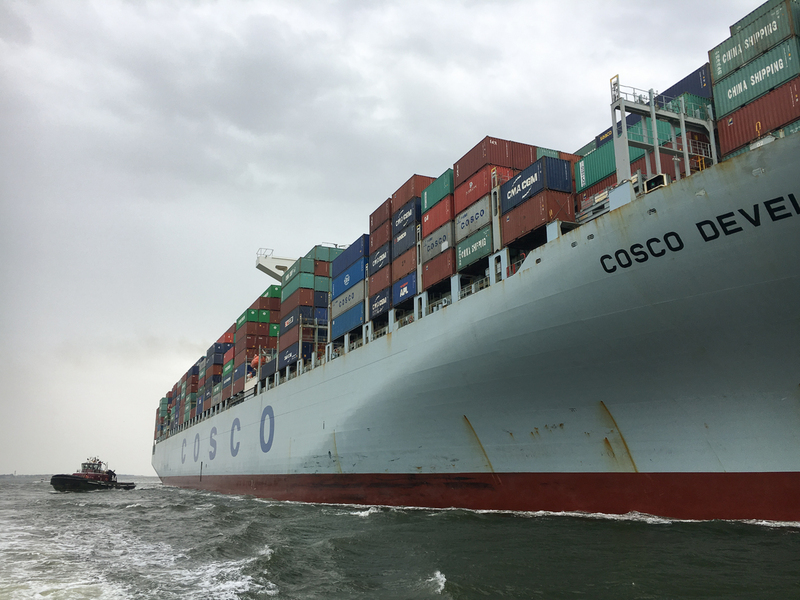 The 13,092 twenty-foot equivalent (TEU) COSCO Development was piloted in by our R. Weil on the 13th and out by J. Lockwood on the 14th. 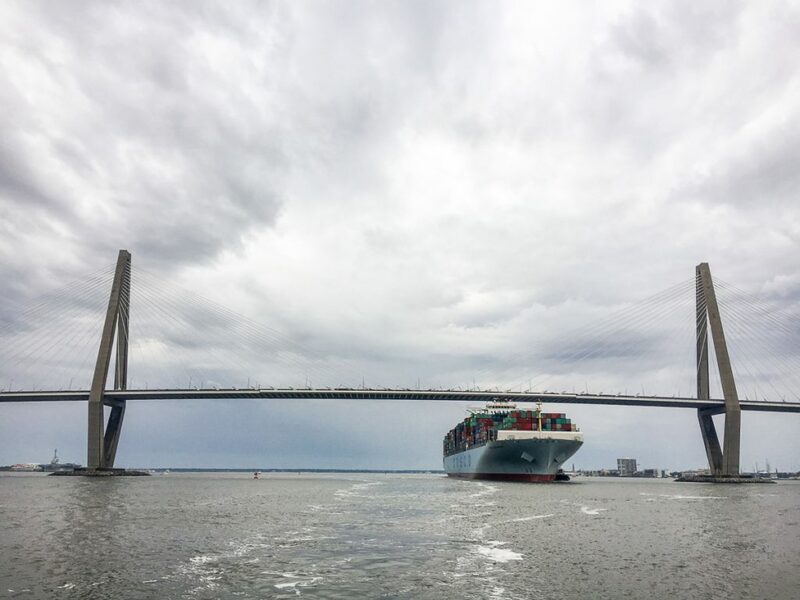 The SC Ports Authority was expected to move approximately 3,300 containers on and off the Development, setting a new record for crane moves handled by the Port. 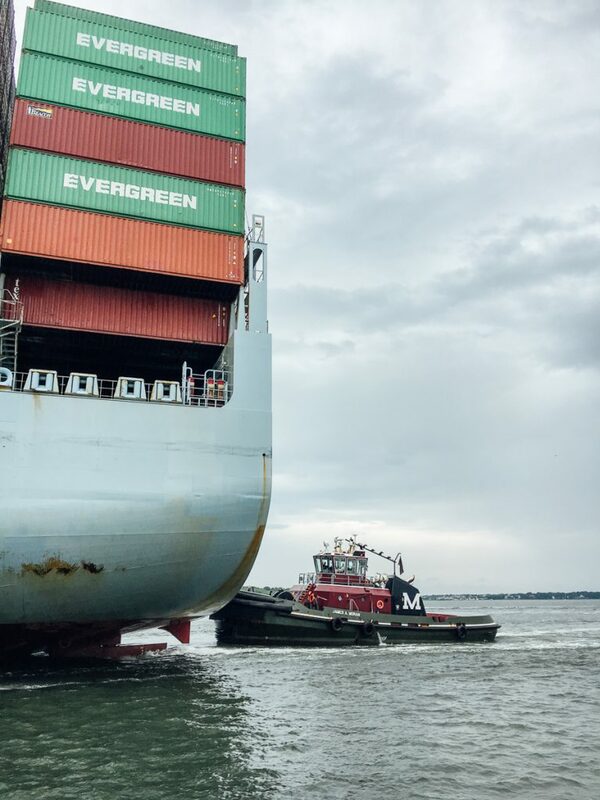 Click through the gallery below (photos by Elizabeth Hills) and visit photographer David Ray’s gallery here. 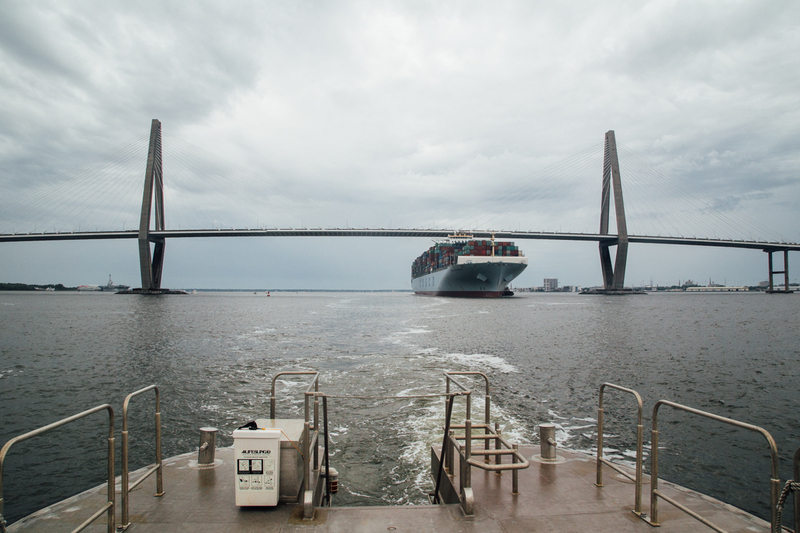 Read more about the arrival of the Development in Charleston here. 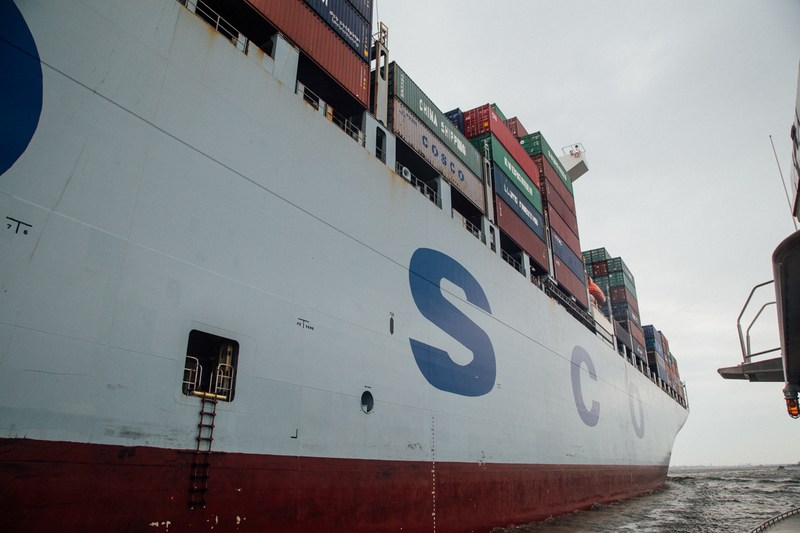 Video: How Does the Port Work? 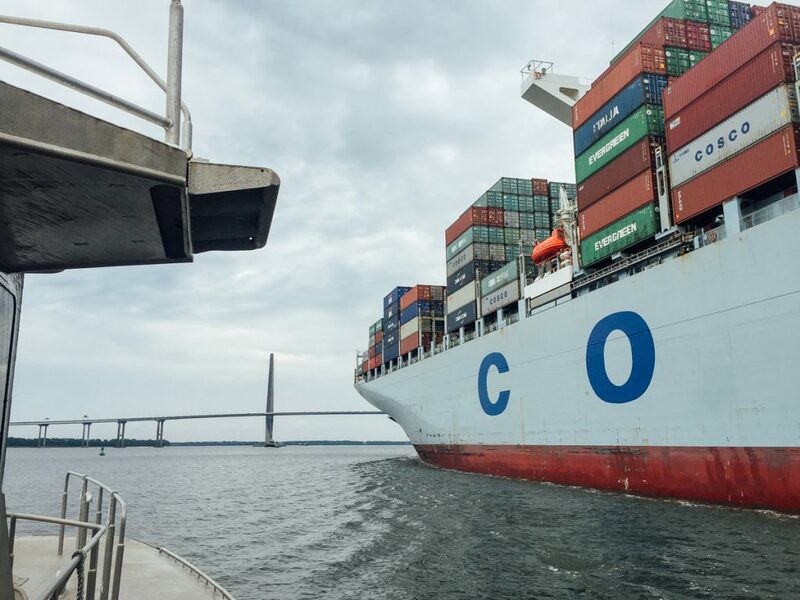 We had a blast taking part in this State Ports Authority educational video for elementary and middle school kids in South Carolina. 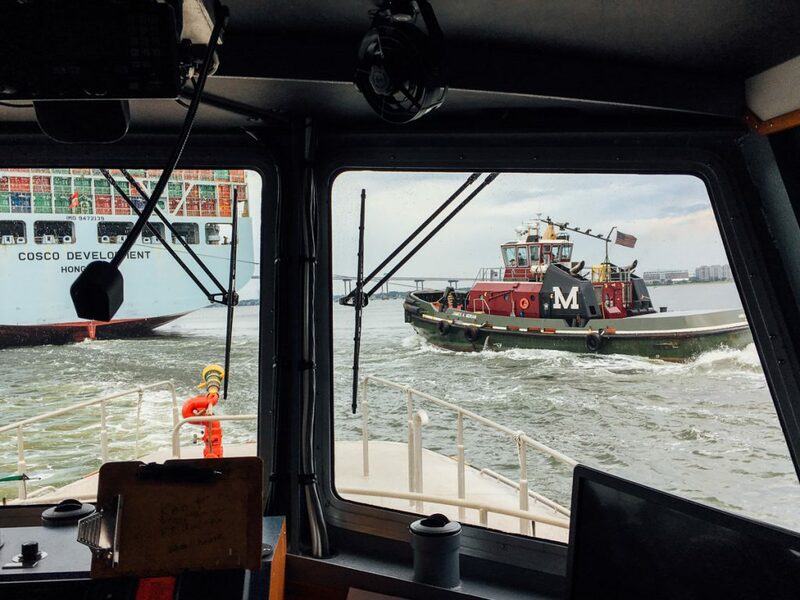 While it is a simplified version of what happens when a ship is in port, it is a great “behind the scenes” look at the maritime community for all ages. 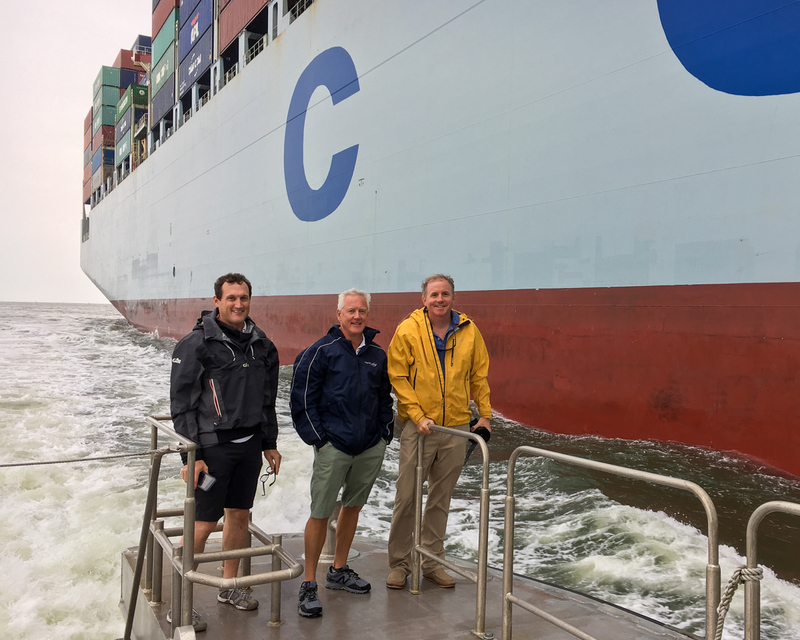 Our Executive Director John Cameron plays the role of the pilot very well! 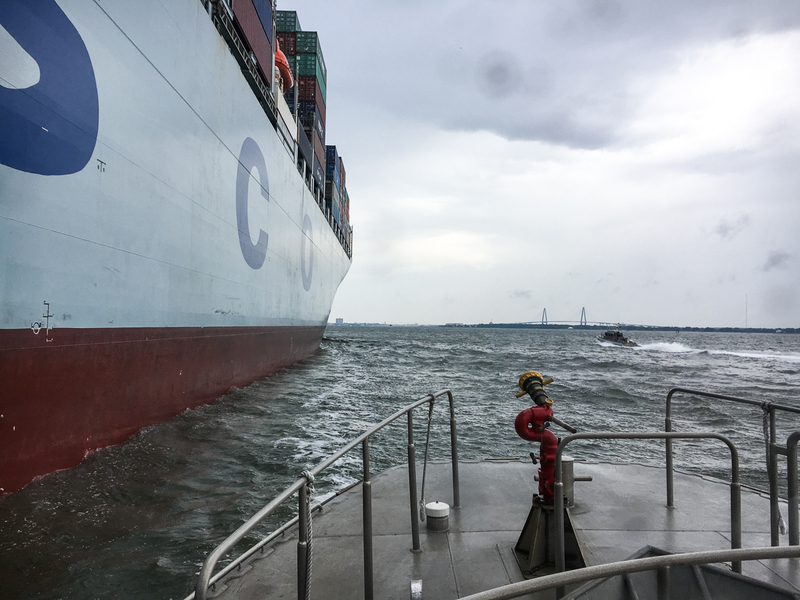 Please note that for logistics reasons, we filmed his boarding in the harbor, even though the actual boarding occurred, like always, offshore before the ship entered the shipping channel.